Sounds like a law firm. They would certainly be able to lay down the law. Ohhhhh! Hopefully they click and we have a new line name! Development camp came to an end tonight, the All-Star game takes place tomorrow morning, those rosters should be out later tonight. Note: Corey Pronman tweeted out today "Impressed this weekend by Luke Reid. Top prospect for 2020"
We'll see in a few hours, but hopefully a coupe UND recruits make the All-Star game tomorrow. Reid, Mancinelli and Miller were all selected to play in the All-Star game which starts at 9am. Schmaltz was our only other commit there correct? I’m pretty excited about that Mancinelli kid. Howe, Dewey, Cheatham, and Wynne? 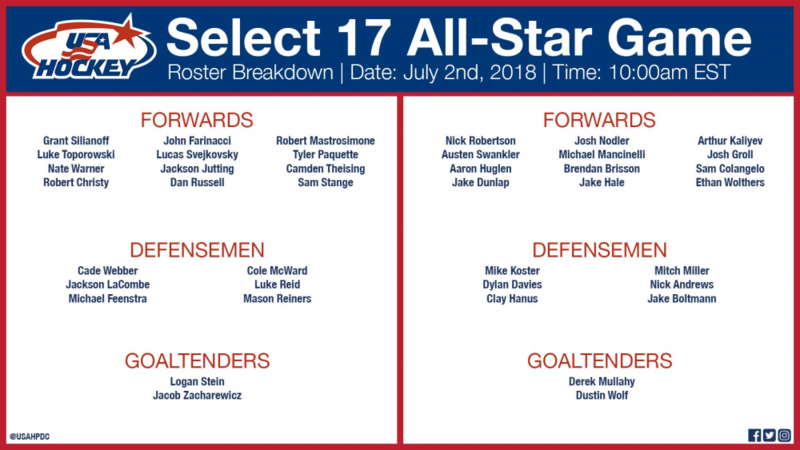 Rosters for the US All Star Select Camp. Reid, Miller, and Mancinelli made the cut. Miller with a goal in the All-Star game. The US Roster for the Hlinka Gretzky Cup will be announced this afternoon. Miller, mancellini and Reid all made the Hlinka team. That's great news! Those three are all tracking very well. 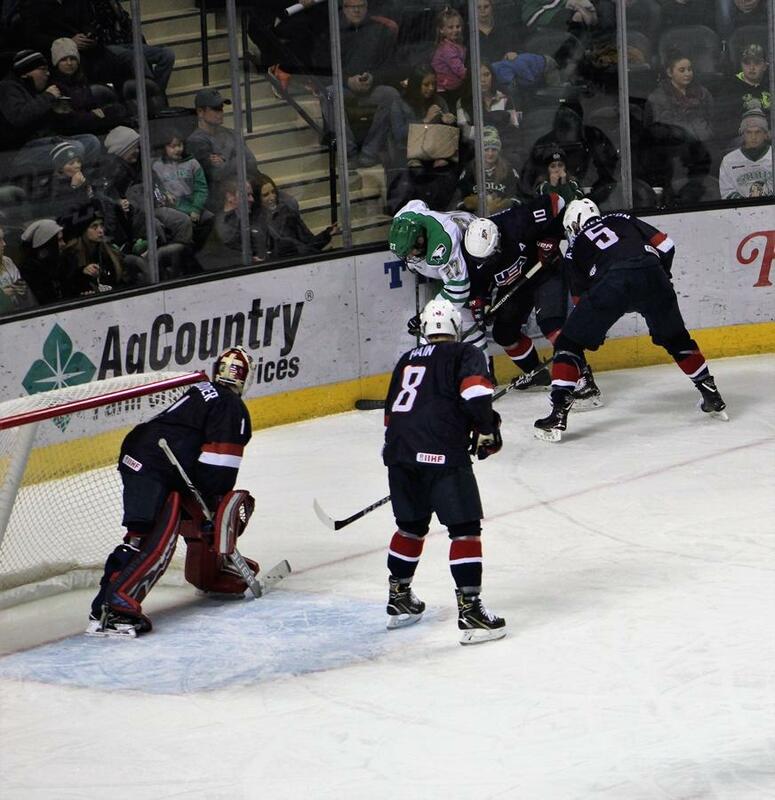 I can't get over how loaded the D-man pipeline is for UND. The potential D-man class of '20 could potentially have 3 of the Top 10 / 15 defensive recruits in the country in Miller, Reid and Kleven. Mancenelli keeps checking off the boxes as well. Solid first year in the USHL as a 16 year old, now named to the Hlinka team, now it's time to take the next step and be around a PPG guy in the USHL during his draft year. With UND's Top 2 Centers being Seniors this year, they are going to need Rizzo / Mancinelli to step into those roles as freshman. I had that one coming. After I hit submit I realized it and knew I’d catch a comment or two, but didn’t bother to come back to edit. Can’t get away with anything these days. It's all in fun at a boring time of year, hockey-wise. I post mistakes all the time. Luke Reid’s Twitter profile has Chicago Steel listed. Has anyone heard if he’s playing in the USHL this year instead of Penticton? He isn’t listed on Penticton’s roster yet, so that would be a good bet. I noticed that too. Interesting he was Hockey Canada last year now he’s USA. You don’t see a ton of kids leaving Penticton, but game in and game out the USHL is a much tougher league. Maybe better for his development as a defensemen. I found this picture of Hain. Final day of games at the US Development Camp (2002). Kunz with a pretty quiet week on the scoring front with only 2 assists in 4 games. Yeah kunz is struggling. On the other side, GF kid Dane Montgomery is doing really well, 6 goals in 5 games. Tied for the camp lead at the moment. Both Kunz and Montgomery are listed as “undecided” as far as where they will play next year. Kunz going to Shattuck next year.